Just a little doodle. 30 minutes I think? I wasn't counting this time. I wanted a break from the usual and I haven't really tried speed painting in a long time. I feel like...I understand it's use now. Anyways, more to come, I guess. Rather miraculously, Ben, Stephen and I made our KickStarter goal in 3 days, about 57 less than we expected to accomplish that feat. 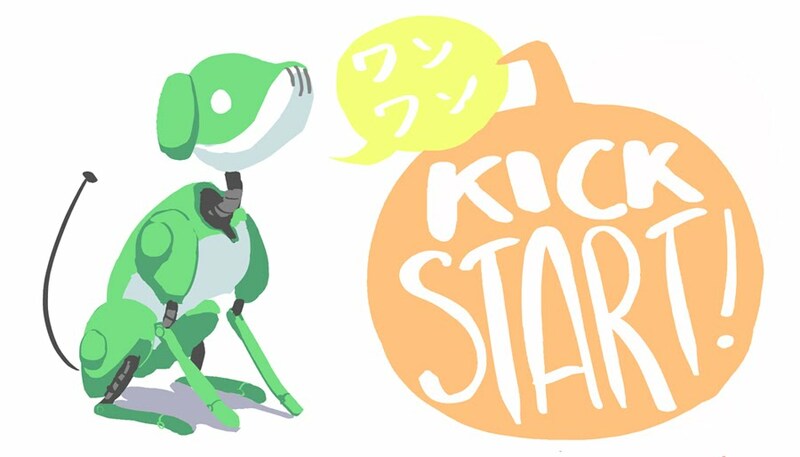 Our project was even made Project of the Day on the Kickstarter homepage! It was a pretty spectacular moment in our short project's history, but made us all very proud and grateful. So here we are. This is one of t the cards we printed on Wednesday to match the Robo-san one as a way of creating interest in our project around campus. It was typical meishi (business card in Japanese) size, and had our blog info on the back side of it. Oh, by the way Wan-chan is saying "wan wan" which is a Japanese onomatopoeia for the way a dog "speaks." Essentially, "wan wan" instead of "woof woof." I hope you all learned something today! Hey everybody! 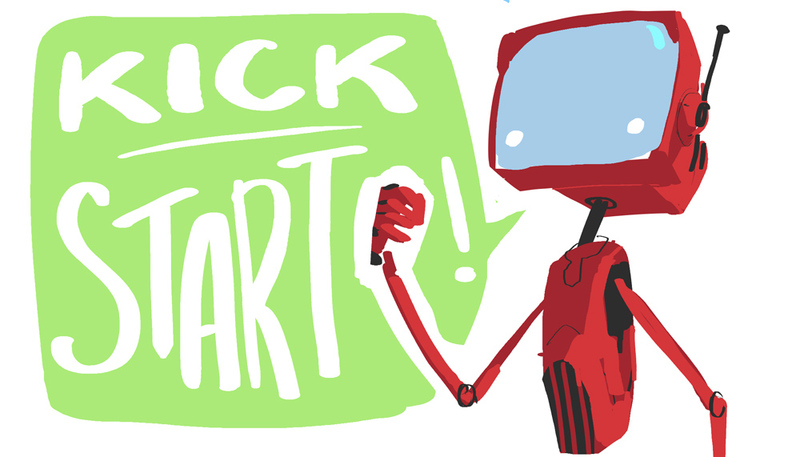 So the Robo-san and Wan-chan animated short film is still trucking a long and we're making great progress with it every day. We'd really love to send the film to different animation festivals and film festivals when we finish it, as well as produce an art book for it, but we need YOUR help! 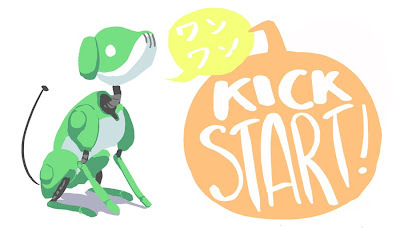 Check out our Kickstarter page below and you can watch a video about what we're doing and how we're doing it and then you join the fight to share Robo-san, and get cool stuff in return! Color key for the end shot! Super-colorful since it's some kind of emotional climax in the movie. It's a challenge to learn how to use colors this vibrant and bold. Don't think I captured the distance quite as well as I could but that's something that I'll mess with when I go to final. The extreme verticality of this color key is so that we can make the shot scroll upwards so that the short ends where it began, in the stars.